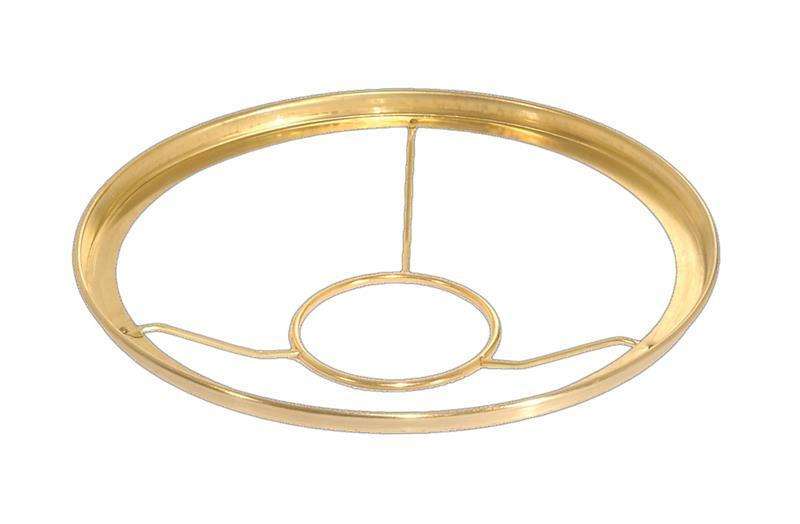 10" Solid brass shade ring type shade holder with 3 1/8" center I.D. designed to fit top of gallery of some Aladdin® Brand burners and Antique Lamp Supply burners. The gallery mounted shade support was introduced with the Aladdin Model B burners. This shade ring support (Tripod with Ring) will work with Aladdin Model B Galleries, original and reproduction. Fits with many but not all Model A and Model 23 galleries. Solid Brass construction with protective finish coating. Imported.